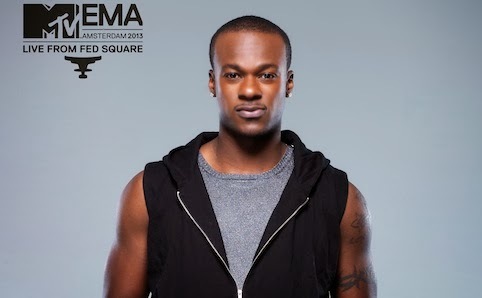 Timomatic - 'Australia's Got Talent' judge and successful Australian singer/songwriter and dancer - will be headlining the MTV EMA Live Site at Federation Square, Melbourne on November 11. He'll perform his new single 'Waterfalls' - out now - from 6pm as part of a live concert (which includes Peking Duk and The Potbelleez) to celebrate the MTV EMA (airing live on MTV). I interviewed Timomatic - his stage name; real name 'Tim' - on his involvement with the event, plus his plans to be a global artist, and what he thinks of radio shock jock Kyle Sandilands, his fellow AGT judge. I asked Timomatic how he felt to be nominated for the 'Worldwide Act' catergory for MTV EMAs - he's nominated for Best Australian Act, along with Cody Simpson, Empire of the Sun, Flume, and Iggy Azalea (click here for the event promo video). "Everything in my being is charged for being a global act, to be in the global spotlight." Says Timomatic about the inclusion of his hit song 'Set It Off' on the show: "Ellen is such a massive global brand, and she has a brand that I have so much synergy with - she embraces music and pure joy and dancing, so for her to use my song on her show I feel like, yes I am doing the right thing, I am on the right track! I feel like I am 100% working towards being global." "I think you get there by winning each moment you’re given – a small or big performance, a song... they all culminate to make you global artist. "When Ellen played my music, that image was accessible to a lot to a people around the world. That made me so happy." Timomatic started performing at age 18 (he's 26 now) and signed to Sony Music at age 24, after appearing as a contestant on the fifth season on the very show he is now a judge on: 'Australia's Got Talent'. Before that, the Nigerian-born Australian was a contestant on 'So You Think You Can Dance' Australia in 2009 and placed seventh in that competition. We all know marketing and branding is such an integral part of a music career, and Timomatic seems across how it all works. But is he being his authentic self? "Yes. You definitely learn from mistakes. Things that may not have worked... you learn from that. My anchor is my brand, and high energy, positivity, joy and fun – that’s me. That's what I am all about." I asked Timomatic how he'll measure a successful performance when he sings at the MTV EMA Live Site? "For me it’s all about the people there, and the reaction they have. For whoever sees me perform live - I want it to exceed expectations, and that's the way I can gauge it... how people react. I try to give people more than they expected. "I love turning someone into a fan if they haven't seen me perform before. Timomatic is certainly making in inroads in the US. "Yes, I am," agrees Tim. "It’s a long hard road," he laughs, "But it's all about the right timing." With the AGT final almost upon us, I ask Timomatic what has been his experience, and his expectations, throughout the show. "I have learned so much about TV. I am learning how to articulate myself so I get to the point quickly. This is also thanks to incredible team I have sitting beside me." Of Kyle Sandilands, the controversial 2Day FM radio host, Timomatic says the fellow judge is definitely misunderstood. "He is a sweet guy with a big heart and he says what he means and is not afraid to be honest - it’s just the way you take it. And, if you fight him, he can fight back," he laughs. "Dawn [French] has been incredible – a rock for me on the panel, in terms of throwing back ideas, and a great support. "Geri [Halliwell] is a just a ball of fun; both ladies have been so open with their lives, and the ups and downs they've experienced, and they have really helped me learn about the industry. To find out more about the MTV EMAs click here. And to vote for your favourite artists - I just did! - click right here. Watch the ‘2013 MTV EMA’ LIVE from the new Ziggo Dome in Amsterdam on Monday November 11 at 6am Aus (or 8am NZ time) only on MTV.